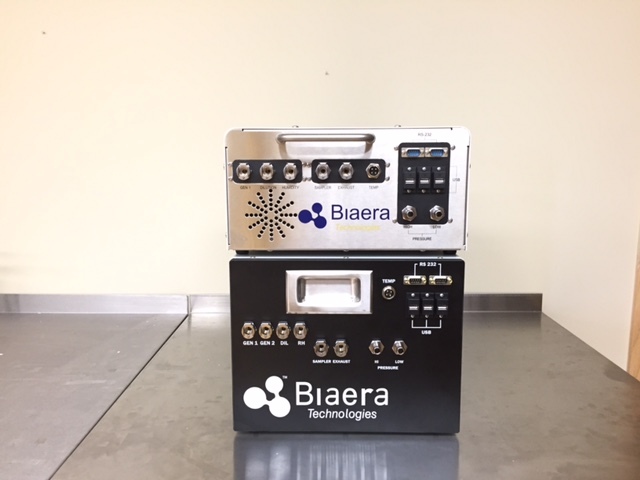 The Aero3G control platform is a smaller, lighter, expandable version of Biaera’s AeroMP control system. Operated through the same software interface as our previous systems, this newer version offers all of the same capabilities as the AeroMP: exposure control environmental monitoring and control seamless integration with particle size distribution analysis platforms real-time respiratory monitoring. The smaller footprint offers greater flexibility in lab configurations, conserves valuable space in high containment applications, and facilitates movement around the lab. USB and RS-232 ports support plug-and­-play expansion to control additional devices and integrate analytical instruments from our partners into your aerosol system.